Antiseptic spray, made from brass dating from 1890, England. 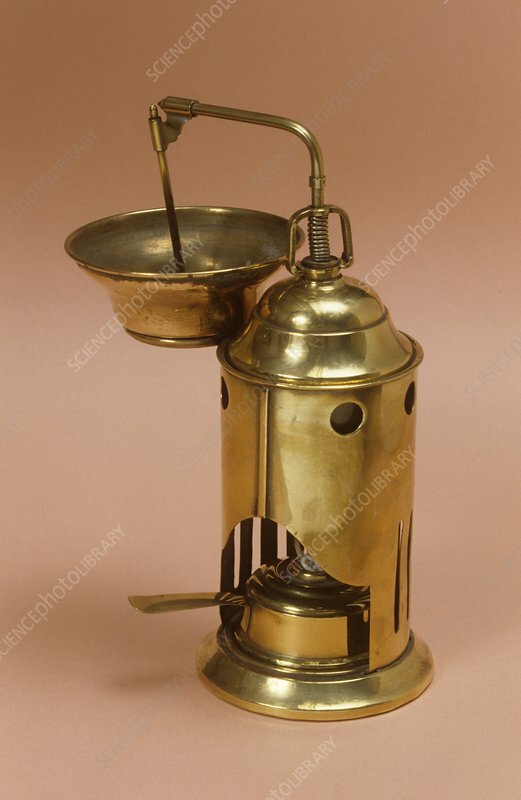 This apparatus was used as an early antiseptic method. Scottish surgeon and pioneer in aseptic surgery, Joseph Lister developed the antiseptic spray for use in the operating theatre. The spray contained carbolic acid which was strong antiseptic agent, this kept the wound and surrounding air free of germs. Whilst the use of carbolic acid led to considerably reduced death rates in patients, the carbolic acid spray method was short lived due to the associated tissue damage and harmful effects of inhalation.